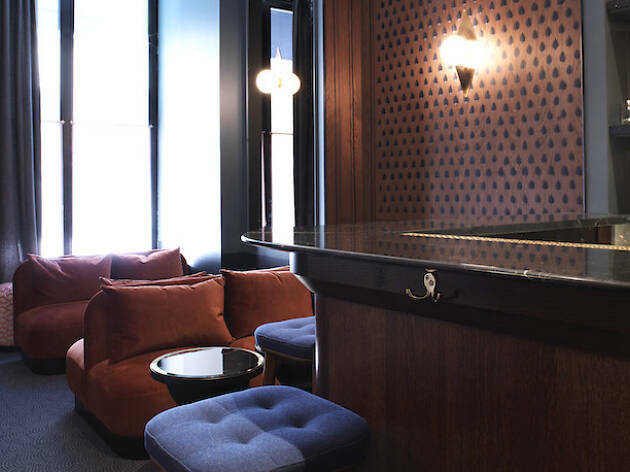 Old school French liqueurs are given a contemporary twist at this buzzing Montorgueil bar. Paris’s ‘Experimental Group’ are known for their commitment to high-end contemporary ‘coquetels’, that is, antique French cocktails made from traditional ingredients and liqueurs. Night Flight is their Montorgueil opening, based off the hallway of the four star Hôtel Bachaumont. 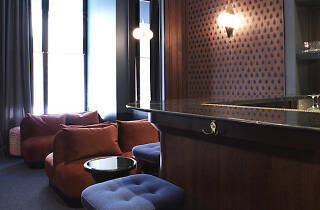 Once inside the building, a chic black-and-white tiled entrance leads to the bar space to the left, and in here the atmosphere is festive, with lots of buzzy chatter crammed into quite a small area. We managed to find a place in a red velvet-lined alcove, and ordered the house Signature cocktail (Citadelle gin, Fenouillete Denoix liqueur, lemon juice and sparking water) and a Vol de Nuit (Flair vodka infused with hibiscus flowers, champagne, Rabarbaro Nardini liqueur, rhubarb juice, elderflower cordial, fresh strawberries and Spanish bitters). 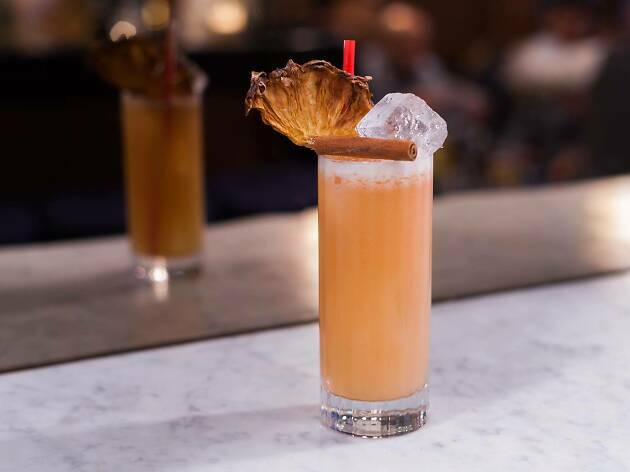 The long lists of ingredients make sense on the tongue, fusing into precisely balanced, beautifully blended drinks you’ll want to linger over (and not just because they’re €14 a throw). It’s a shame the drinks presentation isn’t better, but we quickly forgave them over a plate of smoky mimosa eggs topped with a scattering of cereal grains (€6 for three). If this is Night Flight, we’ll be back for more.